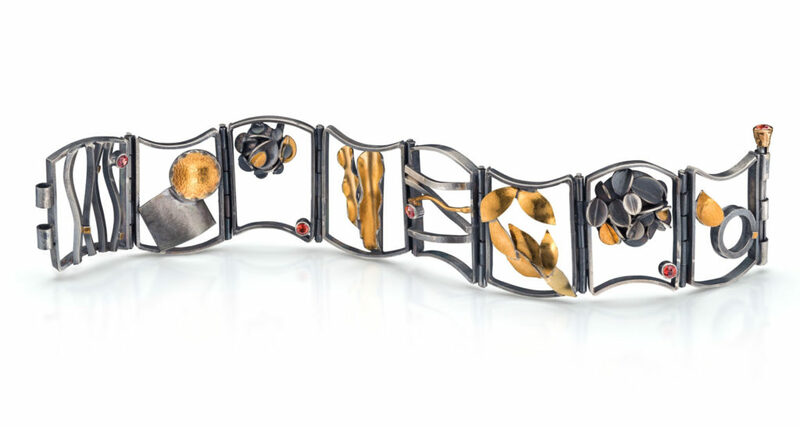 Terri Logan’s jewelry features mineral elements: metal, rock, and crystal. John and I have known Terri for over 20 years, and I want you to know her too. I want you to come in and see how she uses metal and river rocks to form jewelry that has exceptional form and texture. One thing for certain is that Terri’s identity is shaped both by her past professional life and her current one as an artist. Terri was here in May for a trunk show. We are so glad she is coming back in October. At the trunk show she will spend time with you showing you her art. If you do not see what you want, she will design something special for you. When you meet her, she will be your friend too. She will be here on October 8 and 9. 1 Comment Posted to "Meet Jewelry Artist & Friend Terri Logan October 8th & 9th"